How do you stop the triangle offense? Well, no one stopped it when Phil Jackson coached the Chicago Bulls to six NBA titles, then followed that up with five more championships as coach of the Los Angeles Lakers. The Triangle Offense was formed by Sam Barry, who coached at the University of Southern California in the 1940s. One of his players was a young Tex Winter, who further developed the offense. Once Winter started coaching with Jackson, they went on to win 11 NBA titles. The system is the best way to spread the five players on the floor and produces a great chance at victory. Busch is fifth in points and all but guaranteed to be in the 16-driver playoffs with just six regular-season races remaining. The only thing that has eluded him in 2018 is a victory. Perhaps Pocono is the place to score that win. He first won at Pocono in July 2005, driving for Roush Fenway Racing, when he led 131 of 203 laps after starting second. Busch then dominated in August 2007, driving for Roger Penske. He started second again but led 175 of 200 laps en route to victory at the 2.5-mile triangular racetrack. Both races were 500 miles in length. In June 2016, driving for SHR, he started ninth and led 32 of 160 laps of the now 400-mile race to score his third career Pocono victory. Perhaps Busch’s success is tied to the track’s unique design. The three-cornered layout was designed by two-time Indianapolis 500 champion Rodger Ward and remains unlike any other track in the world, with a trio of unique turns each modeled after a different track. Turn one, which is banked at 14 degrees, is modeled after the legendary Trenton (N.J.) Speedway. Turn two, banked at eight degrees, is a nod to the turns at the Indianapolis Motor Speedway. And turn three, banked at six degrees, is modeled after the corners at The Milwaukee (Wis.) Mile. Busch’s first-ever NASCAR victory came on July 1, 2000 at Milwaukee, when he started on the pole and led 156 of 200 laps to win the Camping World Truck Series race. Former Monster Energy NASCAR Cup Series driver Greg Biffle was third, while a young Jamie McMurray finished 31st. Joe Ruttman, who is the brother of Troy Ruttman, the 1952 Indianapolis 500 winner, finished 24th. Troy Ruttman competed against Ward 10 times in the Indianapolis 500 during the 1950s and 1960s. The No. 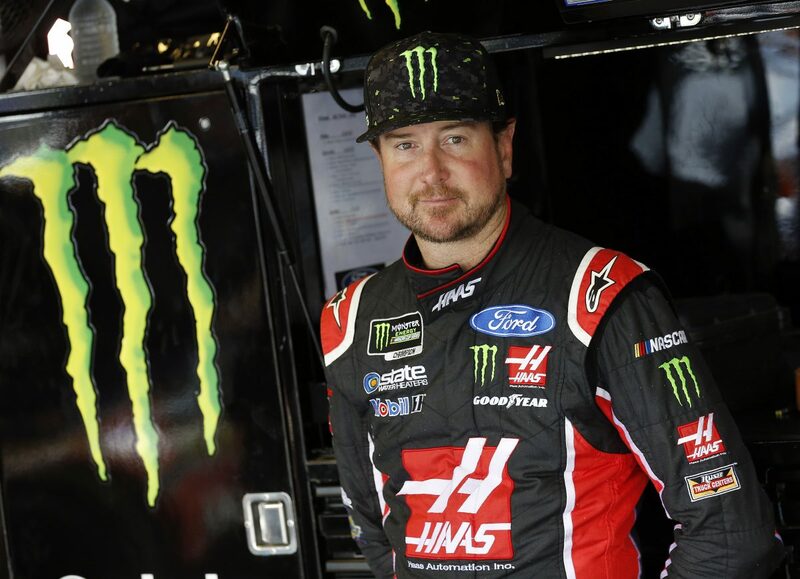 41 Haas Automation Ford Fusion will be led by crew chief Billy Scott. Both Busch and Scott hope they can use the triangle offense and score the kind of success Barry, Winter and Jackson did for so many years. You’ve won three times at Pocono, but the 2007 win was so dominant. Can you describe that race? What is the first thing that comes to mind when you go to Pocono? Of the three turns, which is the most important to you and why?